If you haven't heard by now, Swiss director Claude Barras' My Life as a Courgette was nominated for Best Animated Feature Film at this year's Oscars. This stop motion animated film (also known as My Life as a Zucchini), is just one of many animated features produced in Switzerland during the last decade. In 2007, the first feature-length animated film made in Switzerland was released. At a cost of $25.2 million, Max & Co was one of the most expensive domestic productions ever and it put Switzerland on the map in the world of animation. At the time Nicolas Bideau, head of cinema at the Federal Culture Office, explained, “it was important to highlight the animation scene in Switzerland.” This meant that the second annual Swiss Cinema Day, organized by the national film promotion agency, Swiss Films, with the support of the Federal Culture Office, would include an exhibition of real film sets from Max & Co as well as stills from short cartoons such as Animatou. Since then, animated productions such as A Cat in Paris (nominated for Best Animated Feature Film, Oscars), Kali, the Little Vampire (nominated for Best Animated Short Subject, Annie Awards), and Au revoir Balthazar (won the Swiss Film Award for Best Animated Short Film) have received plenty of press and recognition. Founded in 1980, Ceruleum School of Visual Arts is an art and design school that “trains its students to become ‘professionals’ of their art.” The school highlights thematic workshops and instructors who are active in the field. Ceruleum offers bachelor’s and master’s degrees in Animation or Illustration & Comics, and a Master in Concept Art for Animators, Illustrators and Graphic Designers. At nearly 140 years in existence, Lucerne School of Art and Design is the oldest college of art and design in German-speaking Switzerland. The school offers 10 unique bachelor’s degree programs in the areas of art education, visual communication, film, and production design. Several master’s degree programs are also available. Programs for animators include bachelor’s degrees in Animation or Illustration. A Master of Arts (MA) in Design is also available. The Geneva School of Art and Design was established in 2006. The school, which is home to more than 700 students from 40 different nationalities, offers bachelor’s and master’s degrees in the visual arts, cinema, space design, communication, visual communication, media design, fashion design, and jewelry and accessories. Programs for aspiring animators include an MA in Media Design (Motion Design) and a Bachelor of Arts (BA) or MA in Cinema. SAE Institute has 54 campuses in 26 countries, making it the world’s largest, industry-focused creative media educator. The institute offers programs in the areas of animation, audio, film, games development, music business, and the web. The Geneva location offers a BA/BSc in Game Art Animation, and Diplomas in Game Art & 3D Animation, Motion Graphics, and 3D Production. With 54 campuses in 26 countries, SAE Institute is the world’s largest, industry-focused creative media educator. The institute offers programs in the areas of animation, audio, film, games development, music business, and the web. The Zurich location offers a Bachelor Game Art & 3D Animation and a Bachelor’s in Digital Film & VFX. Ecole Cantonale d'Art de Lausanne (ECAL), offers six undergraduate degree programs, five graduate programs and two master of advanced studies (MAS) programs to 600 students from 40 different countries. The school highlights state-of-the-art technology (including a new printing center as of 2016), a joint lab with EPFL, and a gallery. Programs for aspiring animators include a Bachelor of Media & Interaction Design or Film Studies and a Master Film Studies. Zurich University of the Arts (ZHdk) is part of the Zurich University of Applied Sciences (ZFH). The school is home to around 2,800 students, making it one of the largest art colleges in Europe. Study areas include design, film, fine arts, music, dance, theater, transdisciplinarity, and the teaching of the arts and design. Degrees awarded include the BA, MA, and MAS. A Diploma of Advanced Studies (DAS) and Certificate of Advanced Studies (CAS) are also available. Program offerings for animators include BA and MA degrees in Game Design (3D modeling and animation, interactive storytelling, narration, drawing, etc. ), a BA in Design (Interaction Design or Scientific Visualization), and an MA in Design (Interaction Design). Donnelly, Jim. "OSCAR WINNERS 2017: SEE THE COMPLETE LIST!" Oscar.go.com. ABC.com, 27 Feb. 2017. Web. 12 May 2017. Leybold-Johnson, Isobel. "Swiss Cinema Becomes More Animated." SWI Swissinfo.ch. 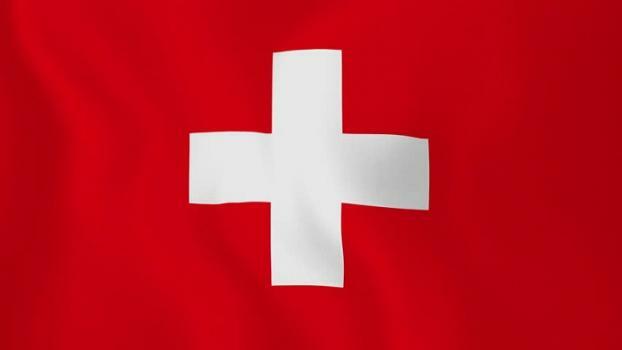 Swissinfo.ch, 07 Aug. 2007. Web. 12 May 2017. Mayorga, Emilio. "Claude Barras Crowns Swiss Animation." Variety. Variety Media, LLC, a Subsidiary of Penske Business Media, LLC, 10 Aug. 2016. Web. 12 May 2017. Sommerhalder, Rafael. "Au Revoir Balthazar." Au Revoir Balthazar. Au Revoir Balthazar, 2016. Web. 12 May 2017. "Swiss Art Schools." Bern University of the Arts HKB. Bern University of the Arts HKB, 2017. Web. 12 May 2017. Wee, Rolando Y. "The 10 Most Populous Cities In Switzerland." WorldAtlas Society. WorldAtlas.com, 22 July 2016. Web. 12 May 2017. "Zurich University of the Arts." UBM Game Career Guide. UBM Technology, 2017. Web. 12 May 2017.